#geomob is made possible by our generous hosts and sponsors. London: £150 for a single event or £600 for an annual package (5 events). Barcelona: €150 for a single event or €600 for an annual package (5 events). 2 minutes to address the audience at the start of each event. Typically we have 50-75 attendees. we welcome all ideas for deeper partnership that fit the #geomob ethos. 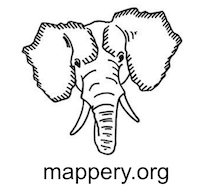 A great example is the audience voted SplashMaps prize for best speaker at #geomob London. The sponsorship funds are used exclusively to pay for the post-event pub visits where attendees discuss the ideas and start-ups presented. 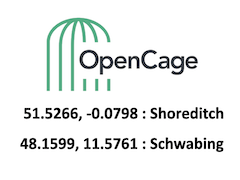 If this is of interest to your brand please email geomob @ opencagedata.com. We look forward to hearing from you. Many thanks to all past and present sponsors for helping to make #geomob possible.